Two come together to introduce payments for public administrative services via e-wallet. The central city of Da Nang and MoMo e-wallet have officially signed an agreement on the payment of public administrative services via e-wallet, within the framework of an announcement ceremony for the Smart City Project held on April 10. With the signing, Da Nang becomes the first locality to implement the policy on promoting electronic payments under Resolution No. 02/NQ-CP from the government. 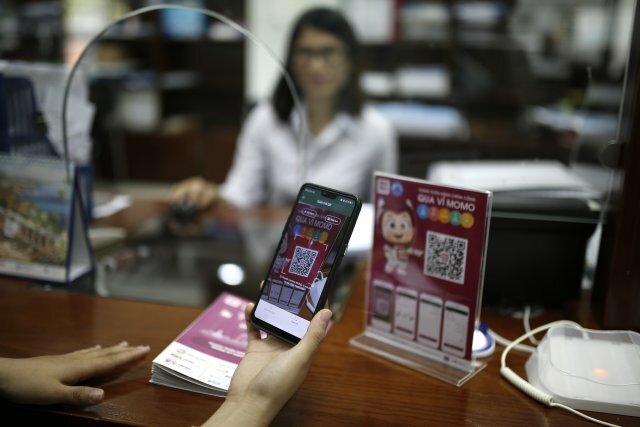 MoMo e-wallet will provide an electronic payment solution to collect fees for public administrative services provided by administrative agencies in Da Nang. People can pay these fees through the payment portal on the city’s e-government portal (https://egov.danang.gov.vn) or use MoMo’s e-wallet app to conduct payments at the one-stop-shop of the Da Nang Public Administration Center. The two parties completed the technical connection and officially put the service into operation on April 2. They have also worked together to expand the electronic payment model for other services in Da Nang, such as apartment fees, parking fees, tuition fees, hospital fees, and payments at restaurants, hotels, and tourism facilities. Mr. Nguyen Ba Diep, Deputy Chairman of the Online Mobile Services JSC, the provider of MoMo e-wallet, said MoMo is honored to cooperate with Da Nang to provide electronic payment solutions for people using public administrative services, implementing the government’s policy on promoting non-cash payments under Resolution No. 02. “This is consistent with our direction and goal of developing Vietnamese fintech products for Vietnamese people,” he added. To mark the cooperation with Da Nang, MoMo will exempt all users from money transfer fees via e-wallet until the end of this year, and will coordinate with the Da Nang Department of Information and Communications to encourage people to adopt the habit of using non-cash payments. Da Nang has held top position in the ICT index for the last seven years. Its online application platform provides many useful services, from online public services to applications that allow people to provide feedback to management agencies. Established in 2007, MoMo has built an ecosystem that meets most of the essential needs of customers, with 10,000 business partners in areas such as consumer finance, insurance, money transfer, payments, entertainment, e-commerce, shopping, transportation, and catering. With more than 100,000 payment points and a network of 8,000 agents around Vietnam, MoMo has more than 12 million customers using e-wallets and helps 3.5 million customers in remote areas, where banking and smartphone services are still unpopular, to gain access to financial services.